The Abha Seva Sadan Multitherapy Charitable Health Centre (ASSMCH) is located in Kashijharia Village, in the State of Jharkhand in Northeastern India. This is the poorest and most neglected part of the country. 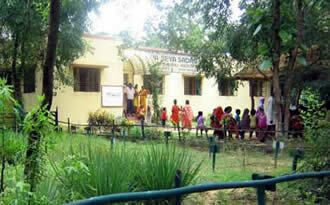 ASSMCH was started to provide quality health education and health care for the local people. At the Health Center, classes are held in basic medicine and hygiene for the clinical assistants in the Center. Another aspect of our work is to train primary health care workers. This training of local men and women is called Community Medical Service, a global programme of the World Health Organization. Through their work, these village medical workers can earn a living as well as contribute to an effective health infrastructure in the region. The local rural tribal population lives in primitive conditions, which have hardly improved in the last century. With few schools of poor quality, around 70% of the villagers are illiterate. Around 90% of the villagers suffer from chronic malnutrition and infectious diseases. Primitive subsistence agriculture is the main employment available. There is very poor health infrastructure in the surroundings of the Clinic. 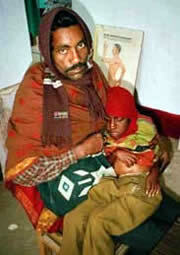 Easily treatable diseases such as tuberculosis, polio, leprosy, gastro-enteritis and malaria are still widespread here. Many women die during childbirth due to a complete lack of maternity services. The nearest hospital is over 20 km away, which is too far as well as unaffordable for the villagers. No single discipline of medicine and healing is appropriate for all persons and all ailments. 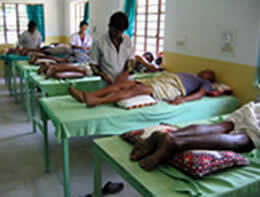 The Health Centre currently offers treatment in acupuncture, homeopathy, allopathy (Western medicine) and physiotherapy. This holistic approach of combining conventional and alternative treatments allows the medical therapists to provide the most suitable care for each patient, offered at a nominal charge or for free. Medical camps are held in the surrounding and more distant villages, focusing especially on the children, as many of them never even reach the clinic. Health education is as important as curative medicine in raising the living standard of the rural population. Our team is regularly visiting villages of the area, to educate the people about nutrition, hygiene and good health practices. This will, in the future, be combined with medical treatment as well as cultural and sports activities, for the all-round physical and mental development of the population. 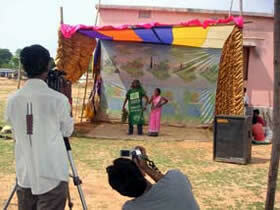 As an example, in order to attract larger numbers of villagers to learn about nutrition and water hygiene, a group of local actors was hired to perform in the local dialect a comedy drama about malnutrition and how to overcome it by a more healthy diet. 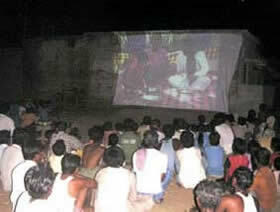 It was then filmed and is now being projected weekly in the villages. Most villagers who have seen the film have since increased the amount of greens in their diet. 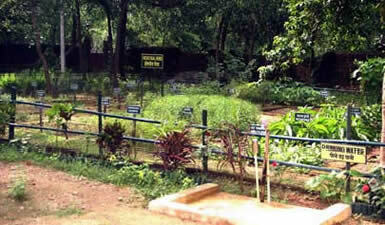 The Clinic’s herbal garden includes more than 80 varieties of medicinal herbs and more than 20 varieties of nutritional herbs. The patients are shown which of these freely growing herbs and greens are beneficial for their health condition, and that they can gather them in their own neighborhood for use as an herbal medicine or to add as a nutritional supplement to their one-sided rice diet. Regular water hygiene programs in the villages help to reduce the frequency of malaria, worm infections and other waterborne diseases. 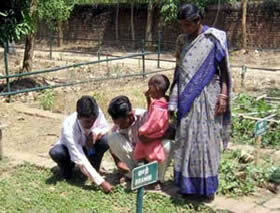 The villagers have very little knowledge of hygiene and use contaminated water from puddles, ponds and dirty wells. They are shown how to disinfect their wells cheaply and easily using bleaching powder. Diluted phenyl is sprayed into stagnant water areas to destroy breeding mosquitoes, parasites and bacteria. Side by side with the expansion of our medical and educational services, the outpatient clinic building needs to be completed. This will include: consultation rooms for acupuncture, homeopathy, allopathy, naturopathy and physiotherapy, dressings room, pharmacies, store room, registration room, office and staff kitchen. The monthly running costs of the clinic are at present approximately US$ 865. This amount includes staff salaries, medicines & supplies, utilities as well as general maintenance. For more information about how you can help and participate in this educational and service project, please email rural-health@amurt.net.